In NYC it started the first week of September. 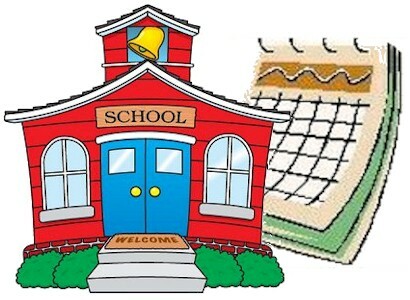 But sometimes if you were lucky a holiday or snow or suddenly announced "Teacher's Days" would delay dreaded back-to-school opening day into as late as mid-September. Actually, in California, we started the first working day after Admission Day (September 9). The school year ended the middle of June. What the HADES has starting school in this heat of the summer have to do with producing kids who can read & write at their grade level??? As you, I'm glad I went to school in the 50s & 60s!!! Need to go back to this. It took years as an adult for me to adjust to schools starting in August! and letting out in late May. In parochial or public school in the '50's on Long Island, the last day of school was always in the 3rd week of June - with the sweltering heat threatening, and the first day back was always after Labor Day, in the first week of September..no more wearing white clothing, one last chance for a family get-together, school supplies and new clothes at the ready!